The first fall frosts are far behind and we’ve experienced many nights of below freezing temperatures, but the past couple of weeks have brought very mild weather with daytime temperatures often reaching close to seventy degrees. Not bad weather for the month of November! 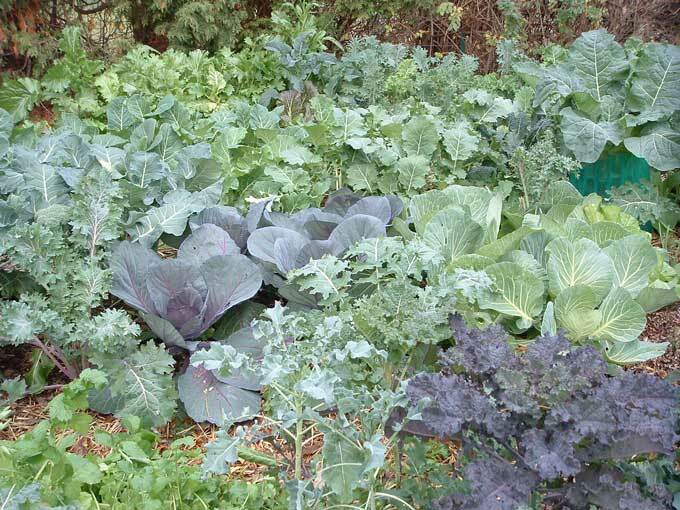 As is normally the case, getting the garden through those early season frosts has rewarded fall vegetable gardeners with the bonus of additional weeks of terrific growing conditions. 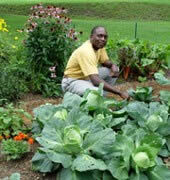 No special care or equipment is required to nurture a productive vegetable garden deep into November or even December in my zone 6 growing region. Success is more dependent on your timing and selecting cold hardy winter vegetable crops that will actually enjoy the cold and improve in flavor after being subjected to frost. 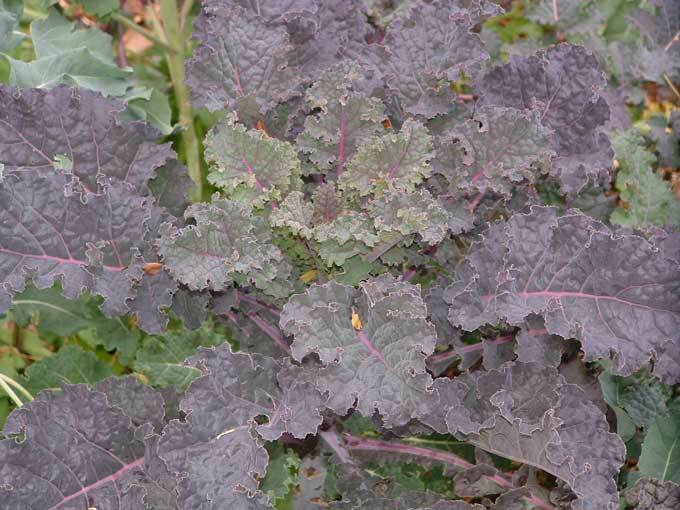 The raised beds are still overflowing with delicious and nutritious kale, collards, mustard, lettuce, arugula, cress, and other leafy greens that continue to grow in spite of the increasing amounts of cold and decreasing levels of daylight. 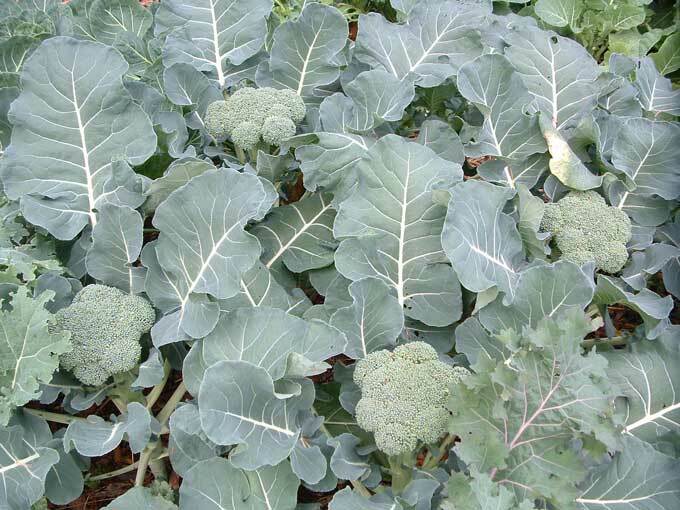 Broccoli plants are producing dark-green florets that are already large enough to harvest if severe freezes are in the weather forecast. Something that you won’t find much of in the garden right now are insects! The only bugs that I noticed causing any damage at all were a few cabbage worms that decided to make an unusual late season appearance. The sluggish worms were pulled from a couple of broccoli leaves and quickly tossed out of the garden. Brussels Sprout plants that were purchased from a garden center in August are still growing but not showing much promise of producing edible sized sprouts before their growth is shut down by winter. I’ll raise my own Brussels Sprouts transplants next season and plant them into the garden earlier in the summer. 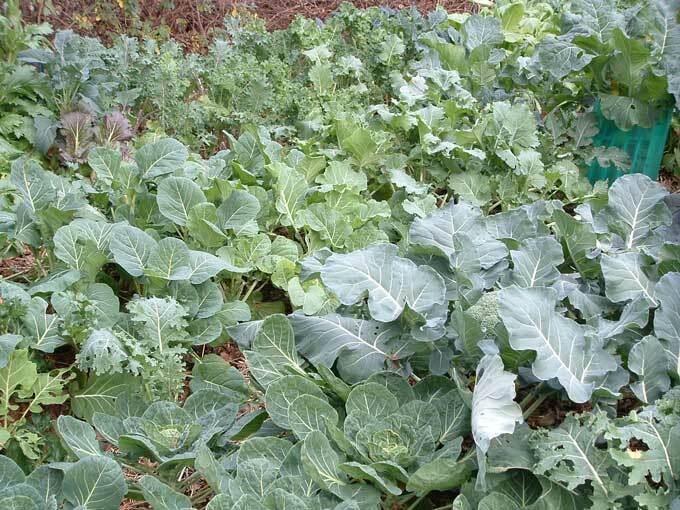 Heirloom cabbages are heading and seem to be further along than the Brussels Sprouts, but it’s also borderline as to whether they will fully mature before the weather brings their growth to an end. While the ornamental Mexican Sage plants have been killed by the freezes, there are a few herb plants hanging on in the fall garden beds including sage, lemon balm, garlic chives, rosemary, and lovage. I was surprised to see a few huge leaved borage plants growing up amongst the kale and collard greens in one of the garden’s raised beds. I’ve been including the chopped borage leaves in fresh green salads to enjoy the nutrition and the hint of cucumber flavor that they provide. I was also amazed to see several epazote plants growing happily as if it was the middle of summer. Some of the gourmet garlic seed that was planted a few weeks ago has sprouted and started sending up a little top growth. It’s a little early, but I went ahead and mulched the garlic, shallot, and multiplier onion beds with a thick layer of shredded leaves to provide protection over the winter months and also restrict weed growth next spring. The trees are now bare, so I spent some time this week collecting and storing as many leaves as I could to use in next spring’s compost piles. Other than that there’s not a lot left to do in the garden right now except to harvest and enjoy the delicious greens and other fall vegetables. Despite the mild temperatures over the past couple of weeks, I have set out the cold frames, cloches, and other protective devices that I use to shelter individual plants and sections of the garden from the cold, wind, and other harsh conditions that winter has in store. In an upcoming post I’ll share a few ideas along with photographs of both basic and high-tech methods of protecting and over-wintering vegetable plants throughout the long winter season. How do you store your leaves? I’ve started yet another compost pile for them as I’ve been raking and then chopping them up with the lawnmower.